Here's the finished result from the beautiful Fusion slab we posted awhile back. Our clients gained significant storage space without changing the footprint of their kitchen by using European style full access cabinetry from Holiday Kitchens. The exquisite finish is a handbrushed glaze. 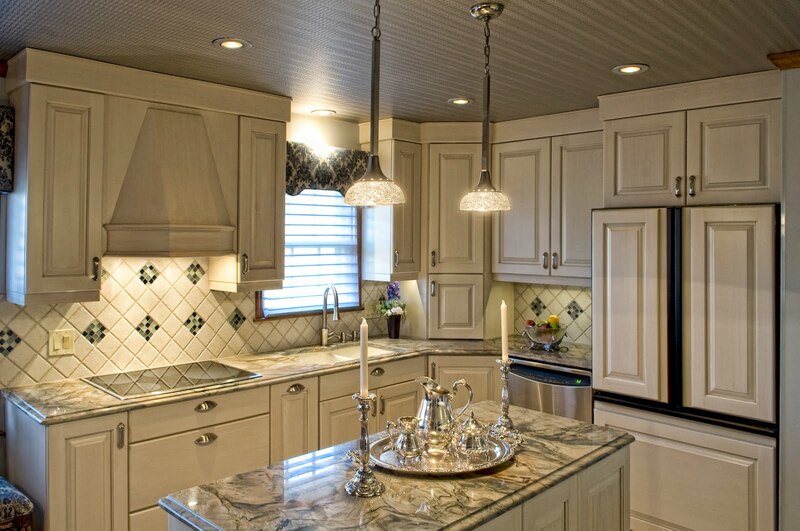 More details & pictures are published in the current issue of Signature Kitchens & Baths.